The ongoing myth of reciprocal inhibition…. 1. Moore MA, Hutton RS. Electromyographic investigation of muscle stretching techniques. Med Sci Sports Exercise 1980;12:322-9. 2. Magnusson SP, Simonsen EB, Aagaard P, Dyhre-Poulsen P, McHugh MP, Kjaer M. Mechanical and physiological responses to stretching with and without preisometric contraction in human skeletal muscle. Arch Phys Med Rehabil 1996;77:373-8. 3. Markos PD. Ipsilateral and contralateral effects of proprioceptive neuromuscular facilitation techniques on hip motion and electromyographic activity. Phys Ther 1979;59:1366-73. 4. Osternig LR, Robertson R, Troxel R, Hansen P. Muscle activation during proprioceptive neuromuscular facilitation (PNF) stretching techniques. Am J Phys Med 1987;66:298-307. 5. Halbertsma JPK, Goeken LNH. 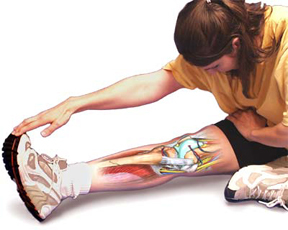 Stretching exercises: Effect on passive extensibility and stiffness in short hamstrings of health subjects. Arch Phys Med Rehabil 1994;75:976-81. Well, this is wrong because A) The PNF technique was discovered in the early 1900s, and B) LOTS of studies (admittedly, not ALL) indicate PNF may be more effective at increasing AROM/PROM than other forms of stretching, including static. How do I know all this? Because I am currently doing research on this for my very own study that compares PROM increases in static vs. IASTM vs. MET (muscle energy techniques). And btw…don’t use words like “I know” and “you’re wrong” in your paper. Its highly unscientific.